Congratulations to our undergraduate researchers! 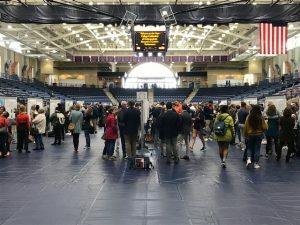 On 12 April 2019, Hope College hosted its annual Celebration of Undergraduate Research and Creative Activity at the DeVos Fieldhouse. 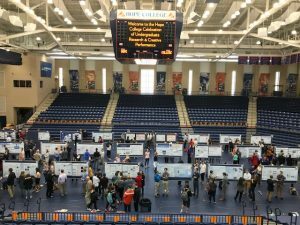 This year, 327 students from 27 departments and programs presented 202 posters! 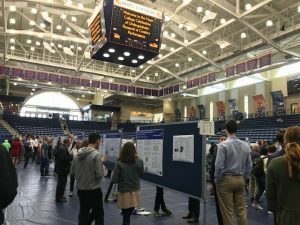 Of course, our Celebration of Undergraduate Research and Creative Activity is only a piece of the overall dissemination plans of our students’ work. 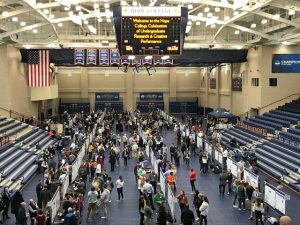 During calendar year 2018, our students made 153 presentations at off-campus conferences and submitted or published 28 journal articles. 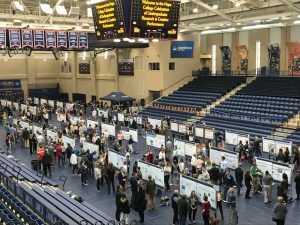 Many of students currently are engaged in the $12 million in active external funding that supports 69 research and educational projects. So while we celebrate our student researchers today, their work continues year-round and we are all grateful for their work! 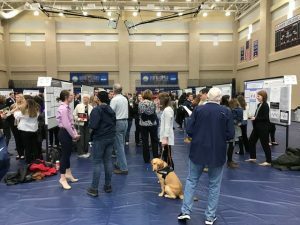 Congratulations to our undergraduate researchers and their faculty and staff mentors on their impressive work!